Love Chronicles is a decent romance\drama. The plot consists of 4 stories about finding love in different ways. Terrence Howard plays the DJ who listens to these nice but goofy stories. The writing and directing are average. The best part of the movie are the performances. Terrence Howard, Robin Givens, and Aries Spears have funny roles. The only weaknesses are that some of the comedy bits don't work, and there are predictable moments. 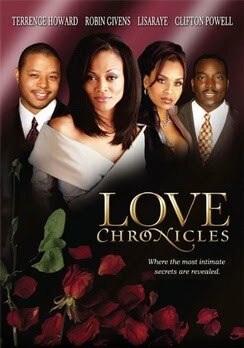 Overall, Love Chronicles is worth seeing, because it's a change of pace from the usual "hood" movies.